Welcome to Roufusport from Duke Roufus! With over 40 years of martial arts experience Duke is a 4-time professional Heavyweight Kickboxing World Champion who is regarded as one of the “most knowledgeable American’s on Muay Thai Kickboxing,” and is widely considered one of the world’s top Striking/Kickboxing and MMA trainers. Roufus also runs the Roufusport Fight Team, which includes UFC Welterweight Champion Tyrone Woodley, former UFC Lightweight Champion Anthony “Showtime” Pettis, Erik “New Breed” Koch, Sergio “The Phenom” Pettis, Phil Brooks (CM Punk), Paul Felder, Belal Muhammad and Gerald Meerschaert III, in addition to Bellator star Emmanuel Sanchez. Former students include former UFC Lightweight Champion Jens Pulver, The Ultimate Fighter season one star Stephan Bonnar and UFC veterans Alan “The Talent” Belcher, Ben Rothwell, Pascal “Panzer” Krauss, Pat Barry, Matt Mitrione and Jesse Lennox. 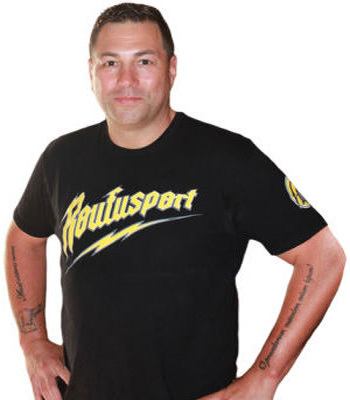 Duke Roufus, along with business partners Scott Joffe and Anthnoy Pettis, operate Roufusport Academy, in addition to the online Duke Roufus Striking University (DRSU) and Roufusport Kickboxing Association (RKA) affiliate program for school owners.